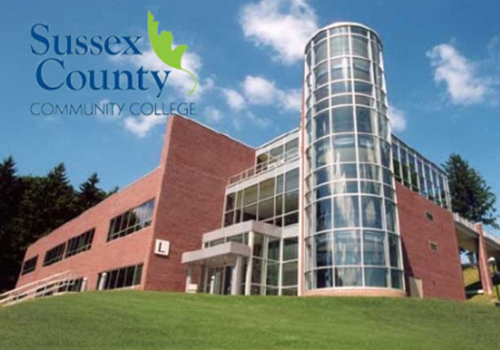 Since its founding in 1982, Sussex County Community College (SCCC) has established a reputation for growth; in its enrollments, in its academic and career programs, and in the facilities it provides for its students. As the college grows, keeping pace with the ongoing needs of the campus community has been a priority for the SCCC administration, and this prompted a closer look at its campus bookstore, as Paul Richartz, Executive Director of Marketing and Public Information for SCCC, explains. 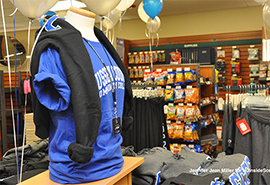 “The bookstore is a representation and reflection of the college, and we really needed it to reflect more positively on our core values,” he says. Crucial among those values has always been the college’s ability to demonstrate student centeredness, a philosophy also shared by Barnes & Noble College, so when the two came together this summer to discuss a new future for the bookstore, it was clear something special was bound to happen. “We were there to listen,” recalls Angelina Carvalhal, Regional Manager for Barnes & Noble College, of those early meetings. “As our conversations progressed, it was clear that the college had a list of objectives that we felt sure we could deliver,” she adds. Some of the issues the college had been facing previously were practical in nature: Students had difficulty ordering books online, sometimes waiting until a week before classes started, while special orders had been hard to accommodate. These kinds of issues could be easily overcome with online ordering from a new campus-specific website Barnes & Noble College could develop, and from an infrastructure which provides for two-day delivery right from the store. Interior view of the Sussex County Community College Bookstore, located in Newton, New Jersey. Some of the issues concerned a broader range of offerings. “Technology is strategic to everything we do here,” points out Frank Nocella, Vice President Finance, Operations, & CFO at SCCC. “So, expanding access to a larger choice of laptops, tablets and computer periphery was important to us.” There was also a requirement for students to have access to a wider selection of reading options, where the bookstore could introduce best-selling general reading books alongside the store’s textbook offerings. Despite an adjacent cafeteria, the administration was also looking to create more of a coffee-house experience, so the bookstore team is now developing ways to bring the ‘Proudly Serving Starbucks’ experience to the store. 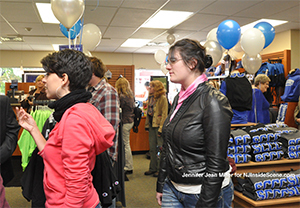 Visitors attend the grand opening of the Sussex County Community College Bookstore.